We came in hopes of seeing fields of wild flowers stretching as far as the eye can see, but we were too late. All the fields lay fallow except one - a sea of purple blooms rippling in the afternoon breeze. We took pictures and walked paths that meandered through the grounds of the Wildflower Seed Farm. Tiny gardens filled with flowers that attracted butterflies and hummingbirds were scattered all around. In spite of the breeze, the afternoon sun felt warm. I found a little bench, in the shade of a huge oak near the entrance to the farm, and sat for a little while. Whoever placed that bench there knew exactly what they were doing. A gentle stillness seemed to surround the place. It was so peaceful. 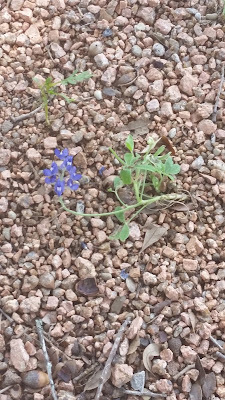 I glanced down and was startled to discover a single little Bluebonnet growing in the hard packed ground. Its meager leaves and delicate bloom made it look so vulnerable. I bent down to get a closer look. 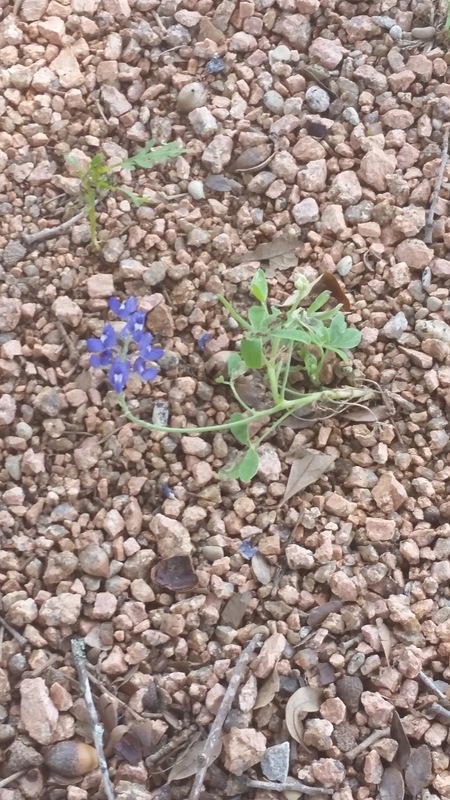 Sure enough - a Bluebonnet. "What are you doing here?" 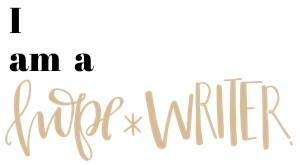 I whispered. "It's far too late in the season. All of your friends went to seed a long time ago. Besides, this is no place for a self-respecting flower. You're supposed to be out in the fields." 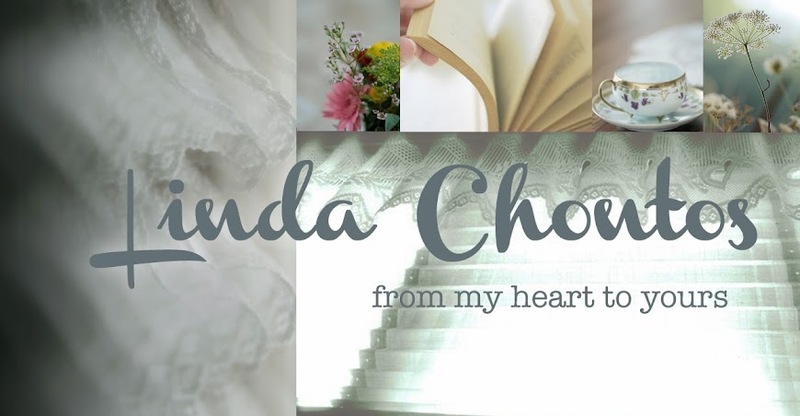 For the rest of this little story about the Bluebonnet please join me at Laced With Grace.